The founders of the boutique and showcase. 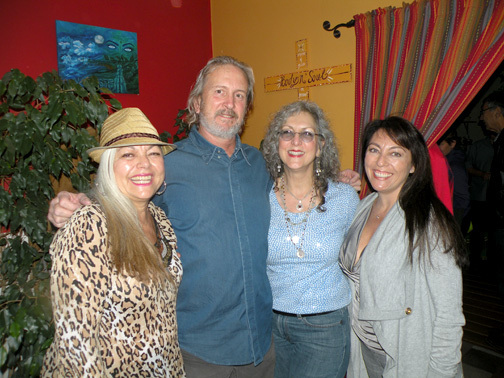 Left, Emma Molina-Ynequez, center left,Joe Bull, center right Barbara Paul, right, Victoria Marie da Salla. In the heart of every thriving community is a core of artists, teachers, healers and poets. Bonded by a mutual desire to express the human spirit and drawn together by a force of inexplicable magnetism, not every artistic community has a space to commune. Yet nestled on Foothill Boulevard, right between Lauderdale and Dunsmore Avenue, lies Que Linda Boutique Body & Soul Studio. The formation of the boutique was an amalgam of delightful coincidences, spontaneous community-building and a burning desire to provide spiritual, creative and healing services to the Foothills community. From this communion came The Emerging Artist Salon, an inclusive and attentive open mic hosted by Barbara Paul and Joe Bull every 3rd Friday of the month. 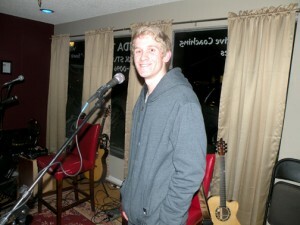 Local Foothills poet Dillon Ross reciting after reciting his poem “Gaia You Are My Lover. Crislyn Sand, whose music can be found www.crislynsand.com. 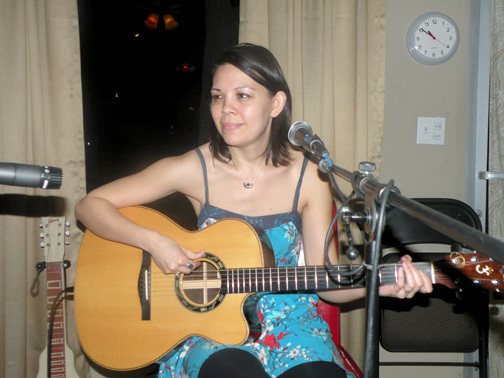 Crislyn is an independent band and you can help her create and grow by donating any amount here! Many sincere thanks! I am thankful for the basics: food, clothing and comfortable shelter; the rest is a bountiful bonus. I am thankful for work, play, and the treasured people who make these experiences richer and more meaningful.